Nathan of Ackland Plumbing is professional and precise. He was punctual, polite, respectful, and very tidy. 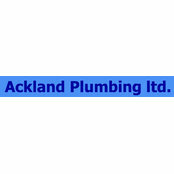 I would highly recommend him to anyone who needs plumbing of any kind done, big or small.